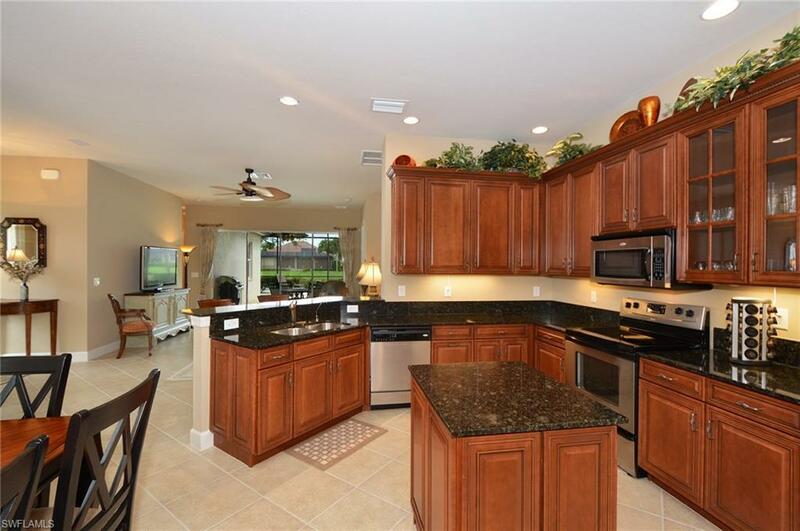 V.2683 - No need to sacrifice style or quality for efficiency this 3 bedroom plus den, 2 bath beauty has it all! 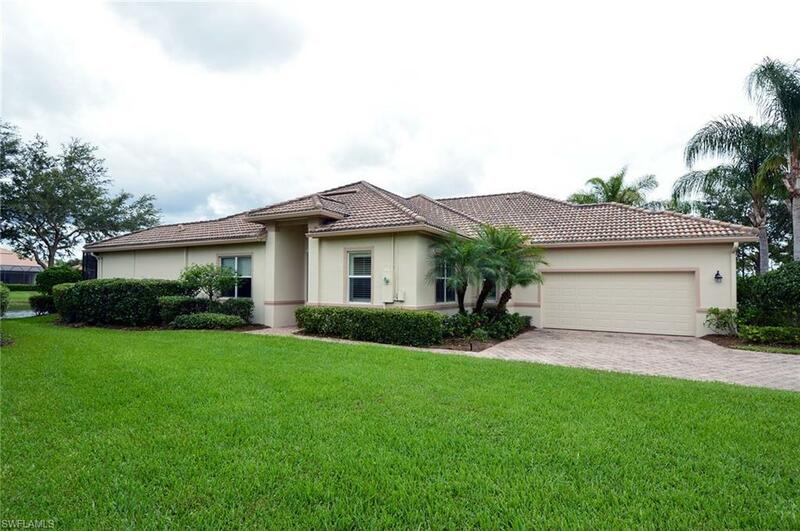 This villa offers the luxury of a private home, combined with the easy life of a planned community. No lawn to mow, no trimming it is all taken care of for you. Wonderful airiness inside, solid quality built by Centex Homes, 2 car attached garage and thoughtful upgrades throughout. 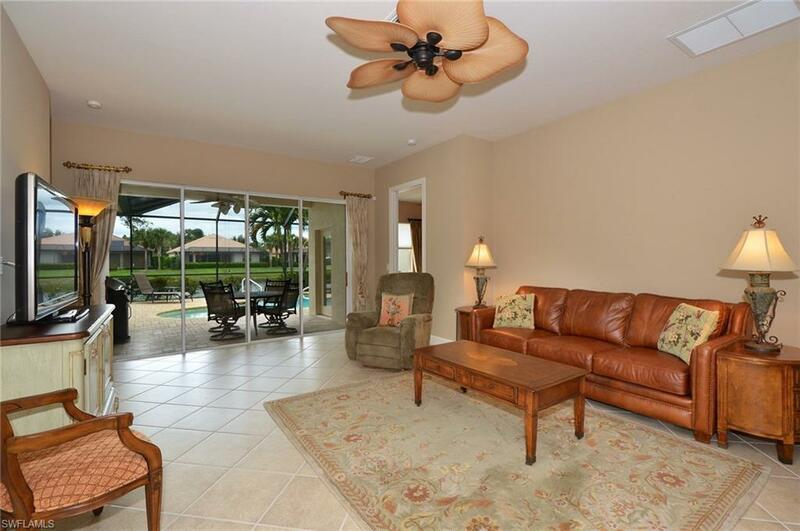 The screened, pavered lanai includes a sparkling pool overlooking a fresh water lake! 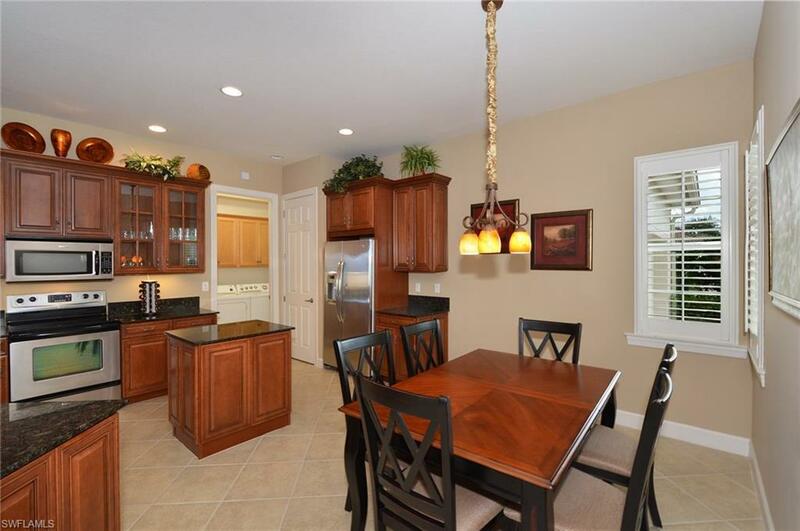 Cared for by one owner this home gleams with tender loving pride. Bridgetown at The Plantation is a gated community that offers 2 clubhouses, fitness centers, resort style pool, separate lap pool, barefoot bar, tennis courts, catering kitchen and much more! Schedule a time to meet your new neighbors!